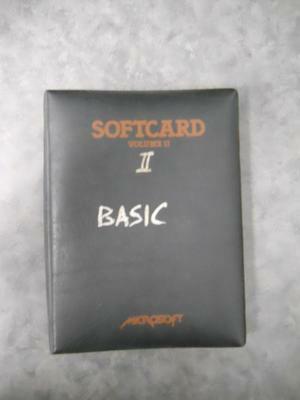 SOFTCARD Volume II manual by microsoft for the Apple II. Written on the font cover in white is "II BASIC", on the spine "II" is written in white, on both the top and bottom of the book "Kouwen" is written in faded marker. Inside the front cover their is a Mostek Micro- Reference Manual. Their is a note on page 5-15 written on a seperate scrap of printer paper which reads "Lady Di! This page is Important T."